The heavyweights meet this Saturday on DAZN. 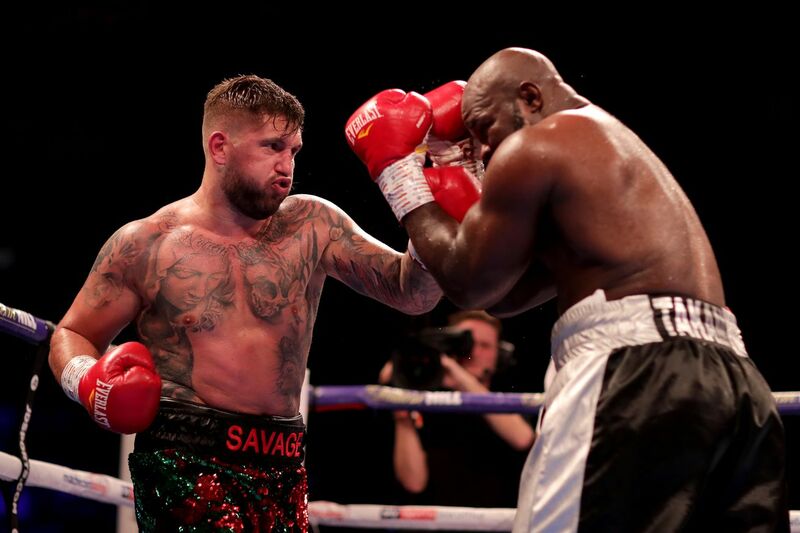 Heavyweight Senad Gashi is set to face Dereck Chisora this Saturday in London, which will stream live on DAZN, and the 28-year-old underdog isn’t worried about Chisora changing much working with new trainer Dave Coldwell. In short, he doesn’t believe the 35-year-old Chisora can change much. “Dereck Chisora is an old dog and it’s hard to teach an old dog new tricks,” said Gashi. “Dereck is a very experienced guy, he doesn’t have a boxing brain but his toughness and experience makes up for that. What I will say is he looks like he’s in the best shape of his life. Gashi (17-2, 17 KO) is originally from Kosovo, and has fought much of his pro career in Germany, with 14 of his 19 pro fights taking place in that country. Last time out, he was a short notice opponent for Carlos Takam in December on the Whyte-Chisora II undercard. Takam stopped Gashi in the seventh round, but he feels with better preparation, he’ll be able to give fans a better showing this time out. “I had just three days’ notice for my fight with Takam. If I’d have had a full training camp I am confident I would have beaten him,” Gashi said. “I was fighting from instinct and my stamina wasn’t there. In the end I gassed out and you all saw what happened. I came to the fight without a coach and I decided my strategy 20 minutes before the fight started.